With the start of a new year, I have had the urge to hit restart, refresh, and renew in many areas of my life. I have already been planning on how to do this in our home, and have some really fun goals for the new year ahead. And so, what better space to start this process than in our bedroom? 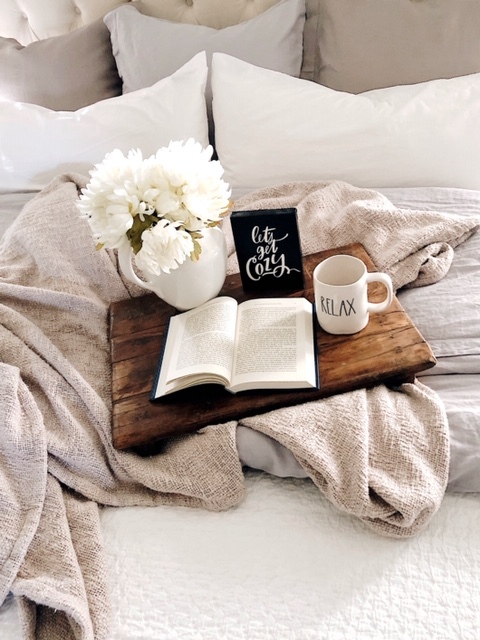 We have worked on our master bedroom over the last couple of years and have changed it from a space I personally didn’t find relaxing into one that is truly a haven. Now that some time has gone by, there are some parts of our room that need a refreshing, specifically our bed basics. And that is what I am so excited to share with you in this post. By simply refreshing our bed basics, we’ve had a better night sleep and the entire room all feels so fresh again. 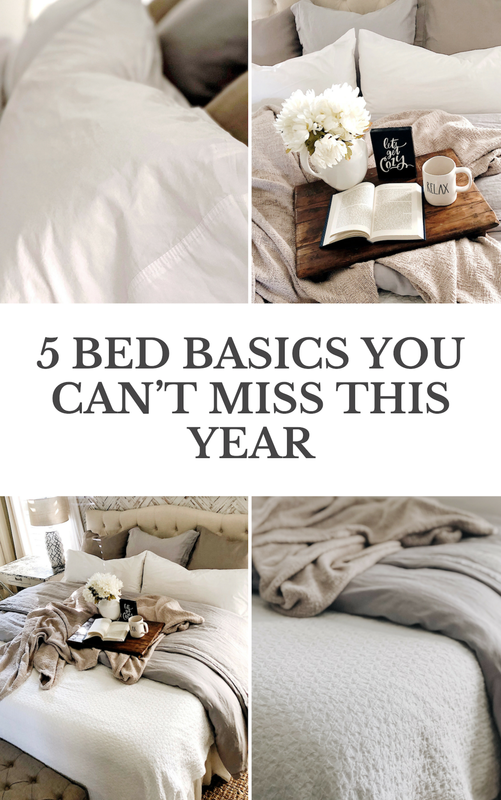 These specific five bed basics from The Company Store are ones you can’t miss this year for your own bed refresh. Plus, The Company Store’s White Sale Event is happening right now, meaning that these 5 basics (and so many more amazing pieces) are all up to 25% off until 2/27! YAY! Click here to check out the entire sale. 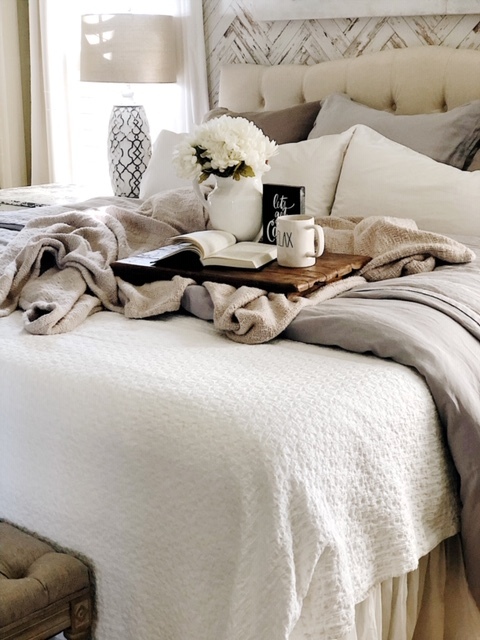 I am going to share with you all today five bed basics that are sure to leave you feeling rested, all while providing that new feeling to your bed once again. Let’s get down to the basics as I share with you these five can’t miss pieces from The Company Store. When refreshing your bed, starting with new sheets and pillow cases is a must! We were looking for white, cotton sheets specifically (they’re personally my favorite!) and couldn’t be happier with the Company Cotton® Percale Solid Bedding (found here) from The Company Store. Included in this line is a fitted sheet, a flat sheet, and 2 king-size pillowcases. These cotton sheets and pillowcases are so soft and just feel perfect to land on at the end of a busy day! Now that we have a soft cotton base, next is my favorite layer: a comforter! Comforters are so cozy, and this one from The Company Store feels like you are wrapped up in a hug. 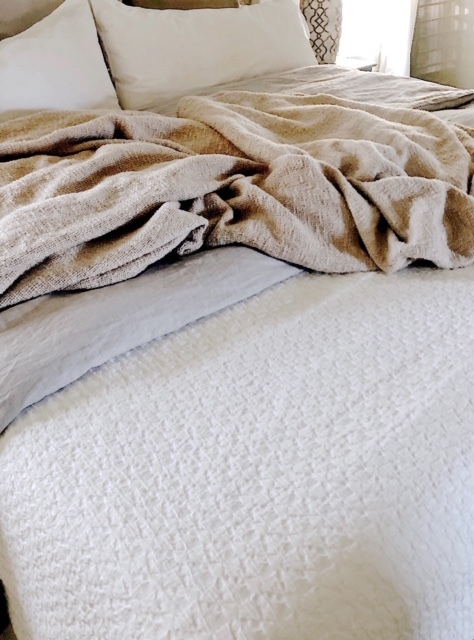 The LaCrosse® Down & LoftAIRE Down Alternative Comforter (found here) from has kept us warm and is perfectly wonderful. It’s the exact weight I’d want in a comforter. For the duvet cover to go on top, I choose their washable (need I say more?!?) linen duvet cover in gray found here. 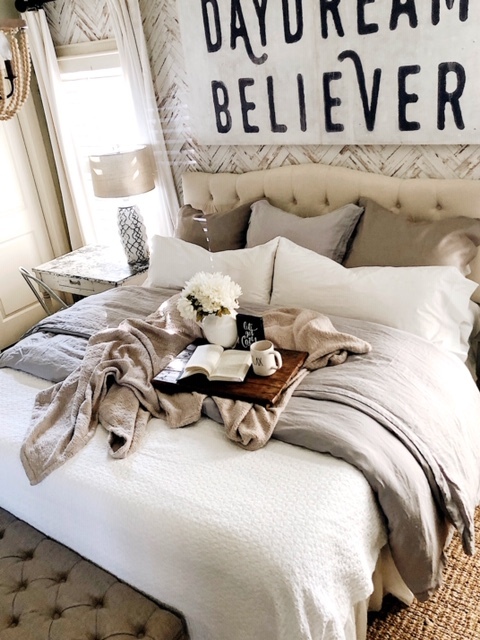 I feel that linen on a bed gives it that texture that just takes it to the next level. I am always sharing how much I love neutrals as a design foundation. For your bed in particular, I couldn’t love white more as the base. The Company Store offers this amazing textured coverlet, found here. This bed basic is a must when putting together a bed. I am enjoying the lightweight feel of this specific coverlet and how it flows over our bed so nicely. 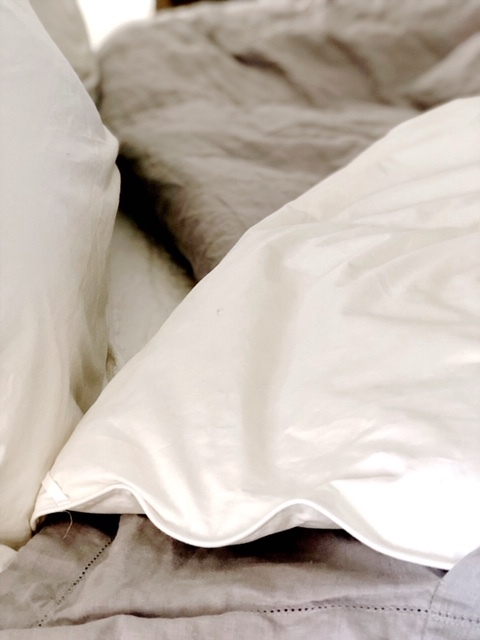 Having Euro pillows on your bed just makes it feel that much more “put together.” For some time, I’ve been looking for the perfect weight euro pillows and I finally found ones I love from The Company Store. The ones I choose are these TCS® Down-Free™ Medium Firm Pillow Inserts. For the shams, I choose two colors in the same washable linen as my duvet cover, which included grey and shale. Again, the linen folds so wonderfully around the inserts. Having these on my bed makes it feel finally complete! Every bed should have a blanket that you can’t help but fall in love with. And let me just say, I have fallen in love with these cloud blankets! If the word “cloud” is used to describe a blanket, I’m IN! lol! Seriously though, it is as magical as it sounds. This cloud blanket is one my whole family is already vying for. It is made of soft yarn and provides the perfect amount of warmth you’d want in a blanket. These five bed basics transformed our bed back into a place that feels refreshed, renewed, and restored. From the soft cotton sheets to the wonderful layers on top, I am thrilled with our choices from The Company Store. 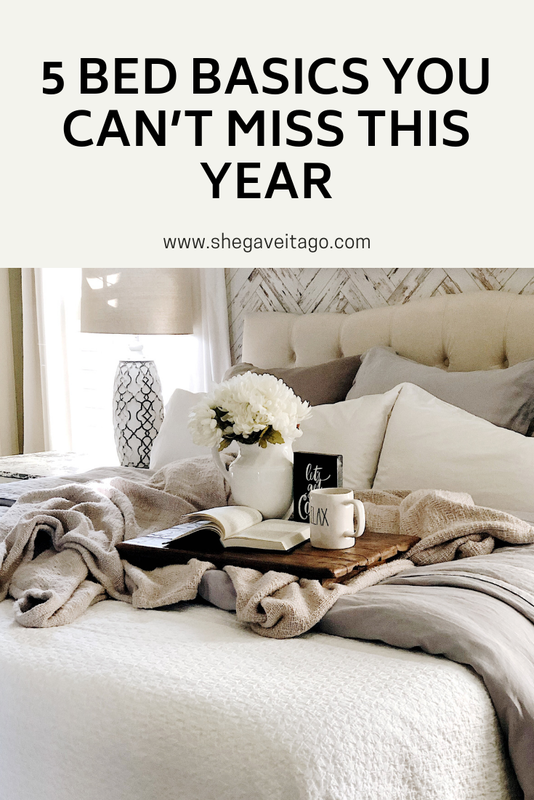 They truly offer pieces you don’t want to miss this year with your bed refresh!